Today, Easton Cycling announced the launch of two new products ahead of the 2019 Sea Otter Classic trade show. 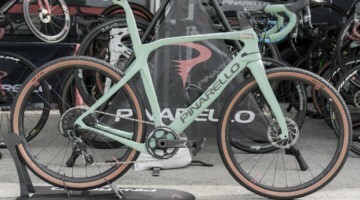 Easton products are a common sight in both cyclocross and gravel with athletes such as the Easton Overland Gravel Team and Amanda Nauman running them on their bikes. The company unveiled its new EA90 crankset and a lighter EA90 SL stem. A few years ago, Easton added the Cinch technology to its EC90 crankset. 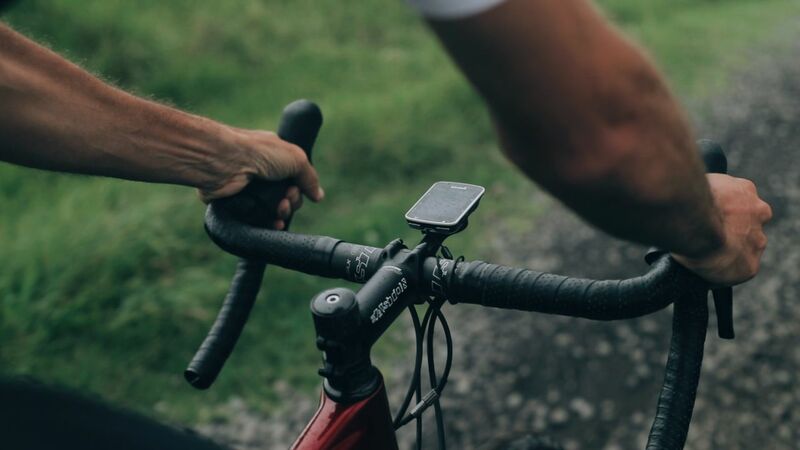 Cinch is the company’s answer to SRAM’s direct mount system that allows chain rings to be swapped in and out without the use of a four or five-bolt spider. 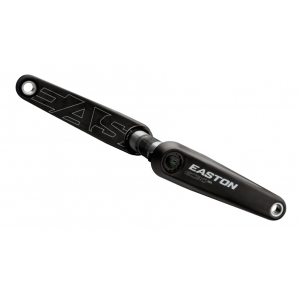 New this year, Easton has launched an EA90 alloy version of the crankset with Cinch tech. Easton brings its Cinch tech to the EA90 crankset. The crankset is both 1x and 2x compatible, making it an option for both cyclocross and gravel. Gearing options include traditional options and newer, wide-range adventure options: 47/32t, 46/36t, 46/30t, 53/39t, 52/36t and 50/34t. One-by options are: 38t, 40t, 42t, 44t, 46t, 48t and 50t. 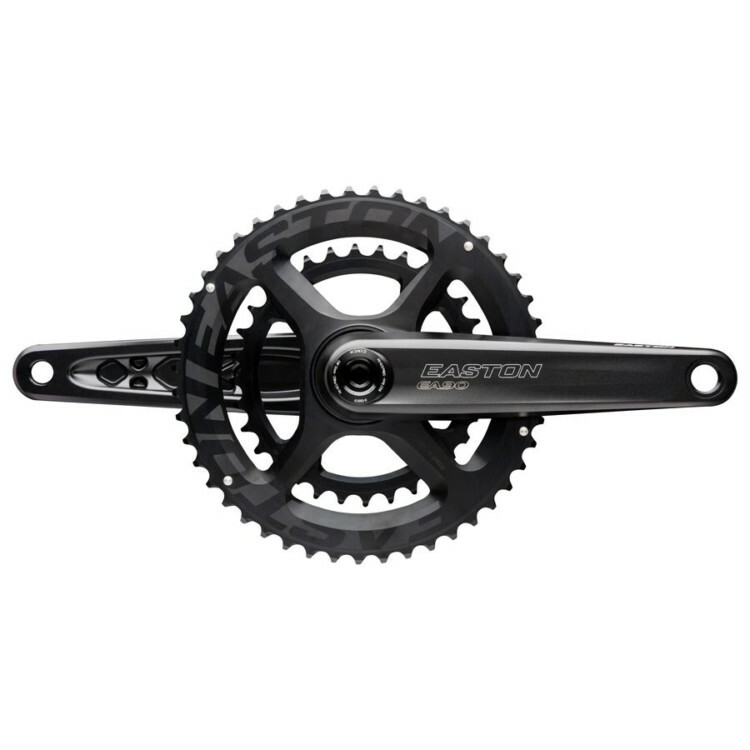 The crankset uses a 30mm spindle that is power meter compatible, and the crankset works with a number of bottom bracket standards. The new alloy crankset checks in at a claimed 534g for a 172.5mm length crankset. The unit weighs a claimed 622g with a 40t Cinch 1x chain ring. The new EA90 crankset costs $120. 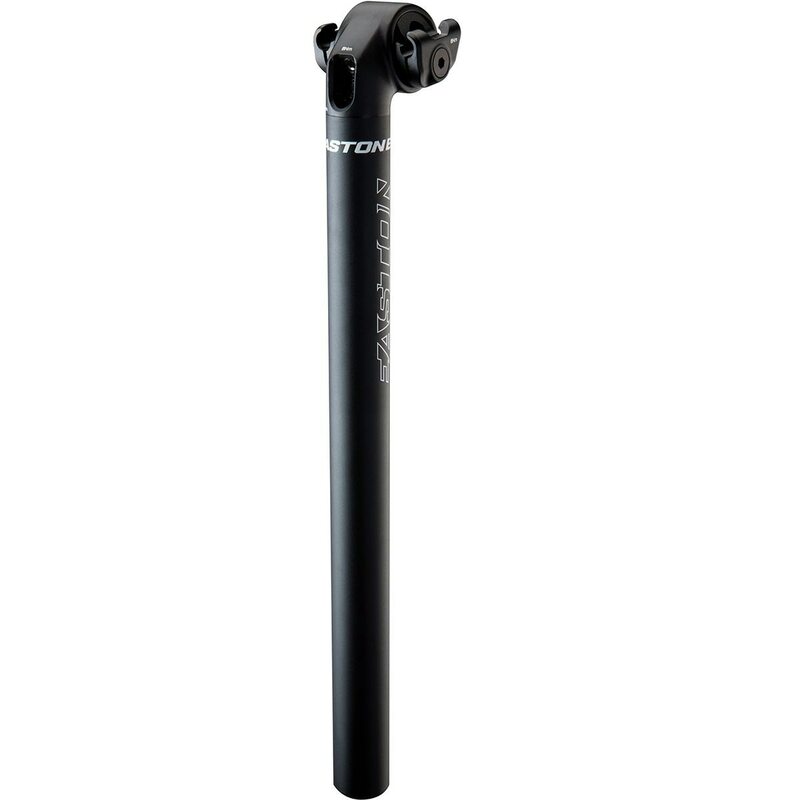 The EC90 crankarms alone cost $400, for comparison. See the specs for more info. 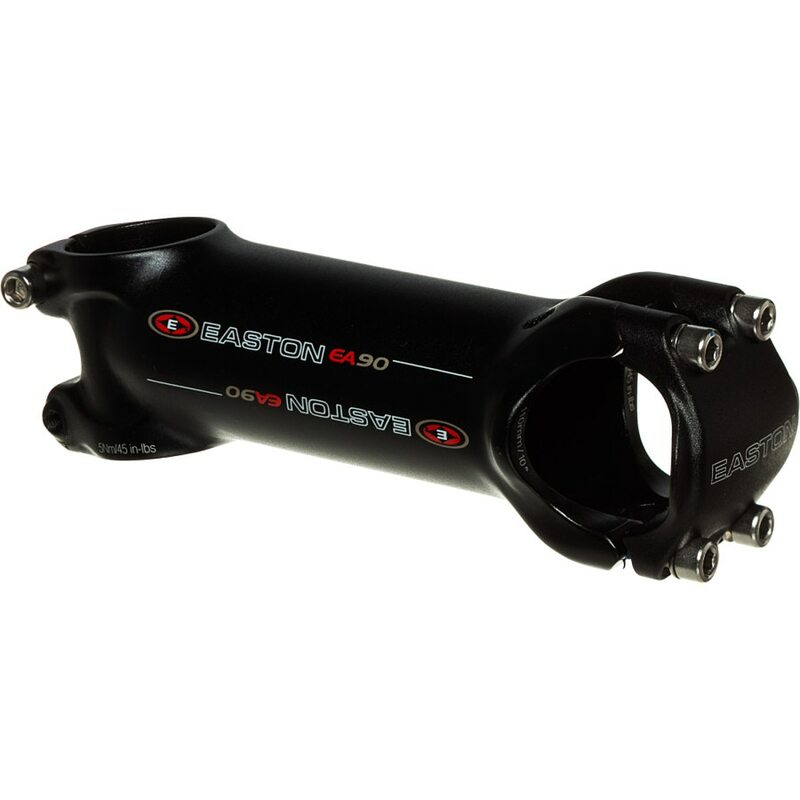 The EA90 SL stem joins the EA90 in Easton’s line of alloy components. The EA90 series features Easton’s top-of-the-line stems that have been redesigned with a larger boom diameter for increased stiffness. New for this year, the EA90SL stem incorporates titanium bolts that allow it to save 10g versus its EA90 cousin. A 100mm EA90 stem weighs a claimed 120g, while the EA90 SL checks in at 110g. 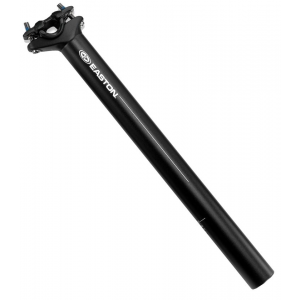 Easton’s EA90 SL stem incorporates titanium bolts for weight savings. 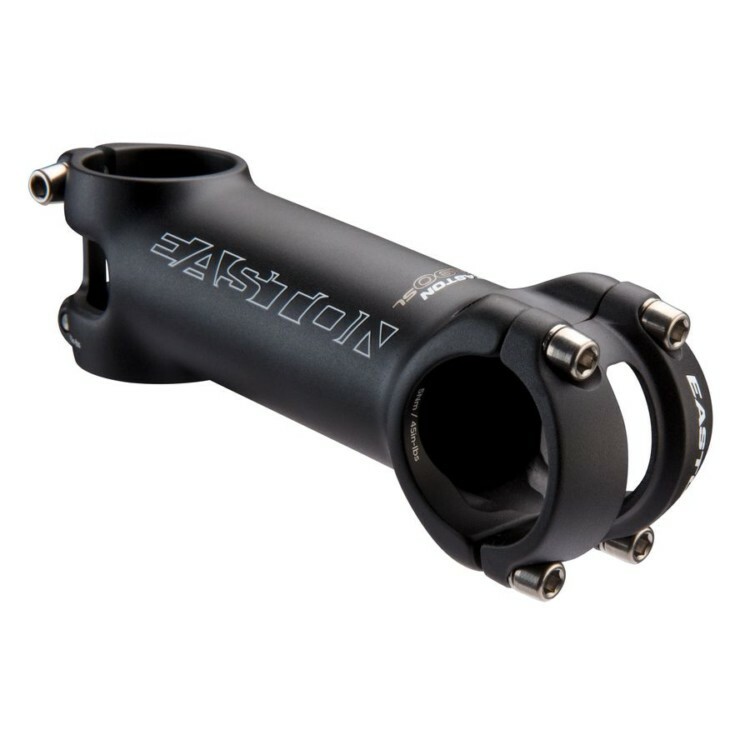 Both stems are compatible with Easton’s ICM out-front Garmin mount. 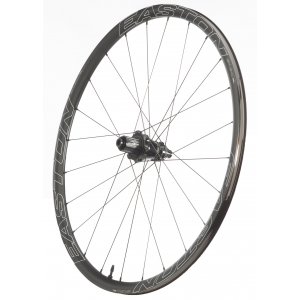 Stem rise is +/- 7 degrees, and the stems are 31.8mm in diameter. The EA90 SL is available in lengths from 70 to 120mm and the EA90 adds a 130mm length. 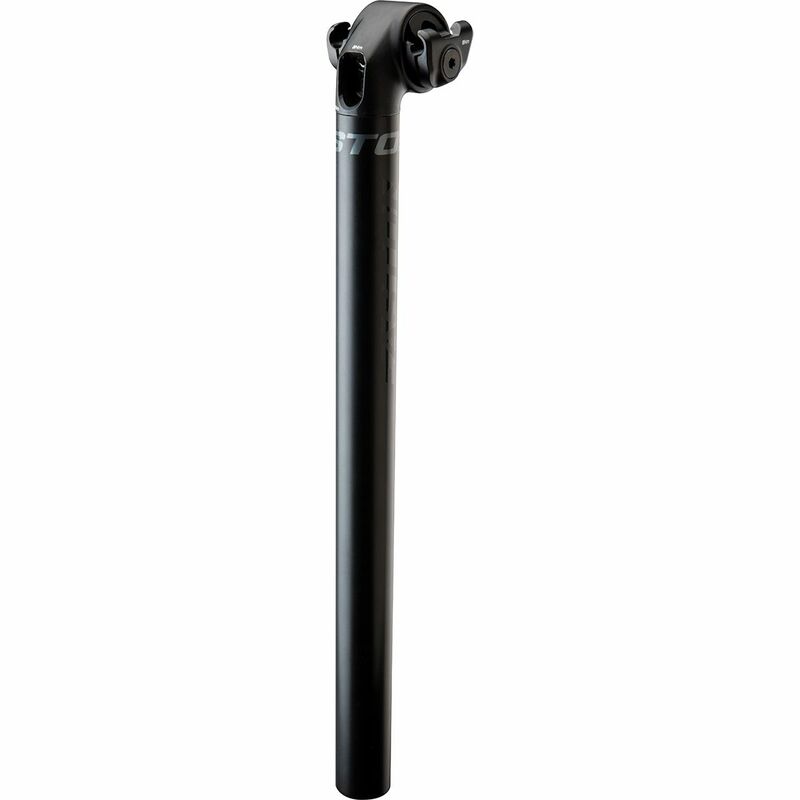 The new EA90 SL stem with Garmin mount costs $150. For more on the EA90 stems, see the specs below.